There’s been a lot of talk lately about the economy. It seems that the most popular question people have asked me lately is “how is the economy affecting your company?”. I don’t have an insightful answer for them. Things are still plugging along. We have had some potential clients express concern about their finances and not wanting to take on any capital expenses. But, we are still closing deals and moving forward. The holiday season is always different, so it’s hard to tell if the economy has had an impact on our sales or if we are just experiencing our normal year end tranquility. Tim and I have spent a fair amount of time discussing how this might impact us. Our conclusion is shared; we’re cautiously optimistic. A softening economy could actually increase our business. As companies cut budgets, one of the first things to be cut is training. However, people do still need to be trained, so we could very well see an increase in online training as a replacement for expensive classroom training. 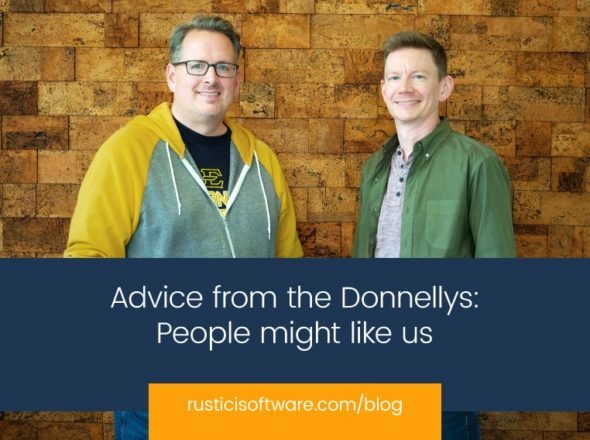 The one thing I do know is that I that know Rustici Software has a long future ahead. We have been and will continue to be fiscally conservative. We carry no debt and we have a fairly strong cash position (this is our reward for forgoing explosive growth in prior years). We will be a bit more cautious in the coming months and we will ensure that all of our spending is prudent, but we have no plans to layoff employees or make any other significant cuts. We have an eye on the future and we will continue to invest our time and resources into innovative new products.